Tackle leading-edge projects that focus on what really matters to our clients. Collaborate with people who have strong intellects, focused ideas and clear opinions. Experience freedom in how you develop as a consultant. All in a culture that values who you are. Working at Capgemini Invent will allow you to capitalize on your potential. We will provide you with the conditions in which to develop your passions and grow professionally. At each step in your career you will face new challenges and cultivate new skills and competencies. The learning never ends! We have our own corporate university outside Paris, which offers professional training programs at different levels throughout your career. As a management consultant you will be part of a successful team advising industry leaders and creating momentum for organizational shifts in major digital transformation programs. You will work from innovative strategy to execution. With Capgemini Invent as a leader in digital transformation, you will be part of a team helping organizations transform to the power of digital. We offer attractive opportunities for growth across our global organization, in a unique collaborative culture. As a consultant at Capgemini Invent, you will be an integral part in our ambitious agenda, where you will receive great support to follow through with your own ideas and initiatives to help us grow. Our consultants are the ones that shape our business. You’ll be free to make your role and your career what you want it to be. Proactivity and ambition flourish at Capgemini Invent. There are countless opportunities available to propel your development forward: Seek out those that suit you, and we will support your growth. We are a growing, global company with diverse career opportunities. A position with Capgemini Invent Sweden–Finland boosts your career, as you benefit from local and global training, daily mentoring and the expertise of 6,000+ passionate consultants worldwide. You will be able to work with our international clients across multiple geographies and seek out new international opportunities within the Capgemini Group. Counselling is an integral part of our culture at Capgemini Invent. It aims at providing support from experienced professionals to help you develop and build your professional career. During your career at Capgemini Invent you will have a dedicated counselor. The counselor accompanies you throughout your career, advising on choices of significant impact, such as training selection, specialization within an area of expertise, project management, etc. As you progress in your career, you will have the opportunity to become a counselor yourself. 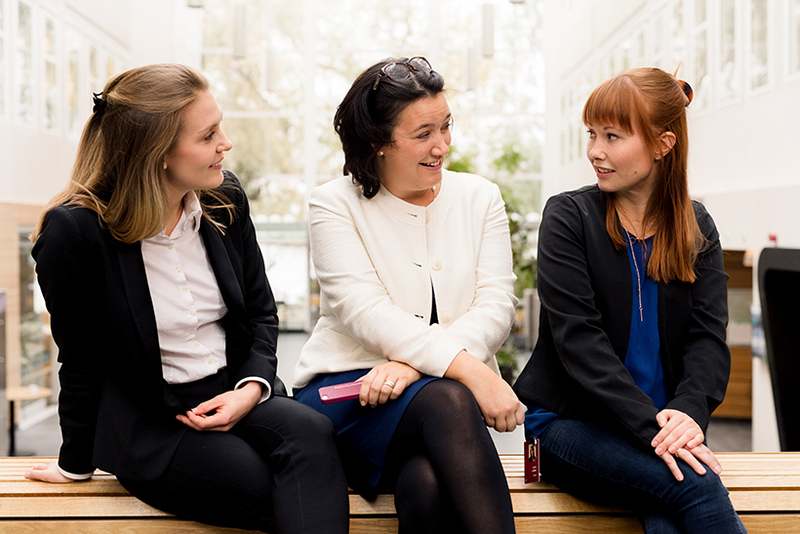 Capgemini Invent is growing rapidly in Sweden and Finland and we are recruiting talented and experienced professionals to join us. If you bring high motivation, strong capabilities and relevant experience to our sectors and competence areas, we are interested in connecting with you.